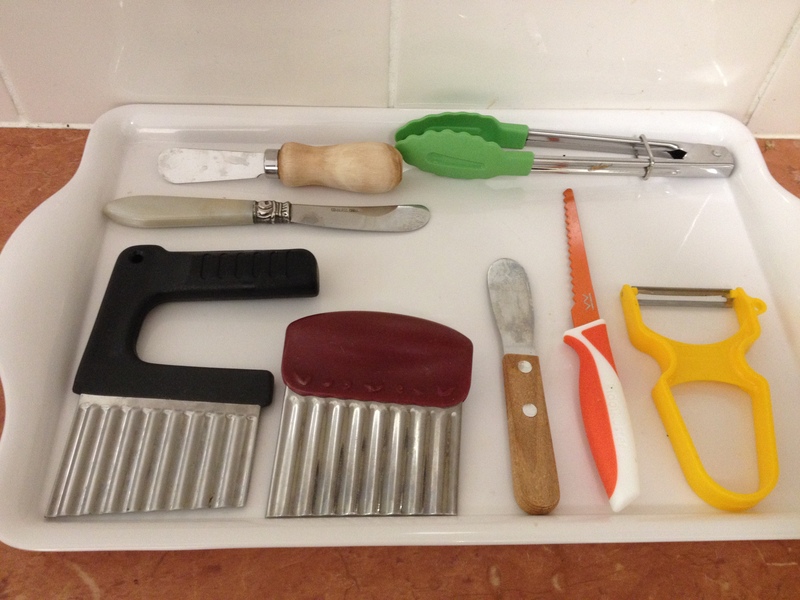 These are the child-sized tools and utensils that we have for the kids to use in our kitchen. 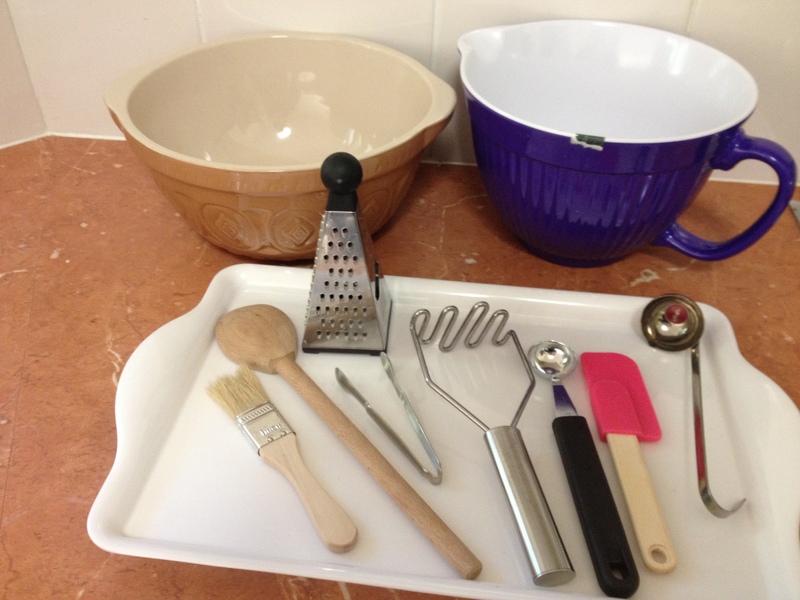 All baking related items are kept in a cupboard that is set up for them to use. The top shelf is for baking items and the bottom shelf is for the novelty or larger food prep items. All the smaller tools like the cutters, spreaders, graters and peelers etc are kept in drawers in the kids food prep trolley station. I’ve tried to make things accessible to my children in a safe manner. Mostly novelty items but are fun to use. 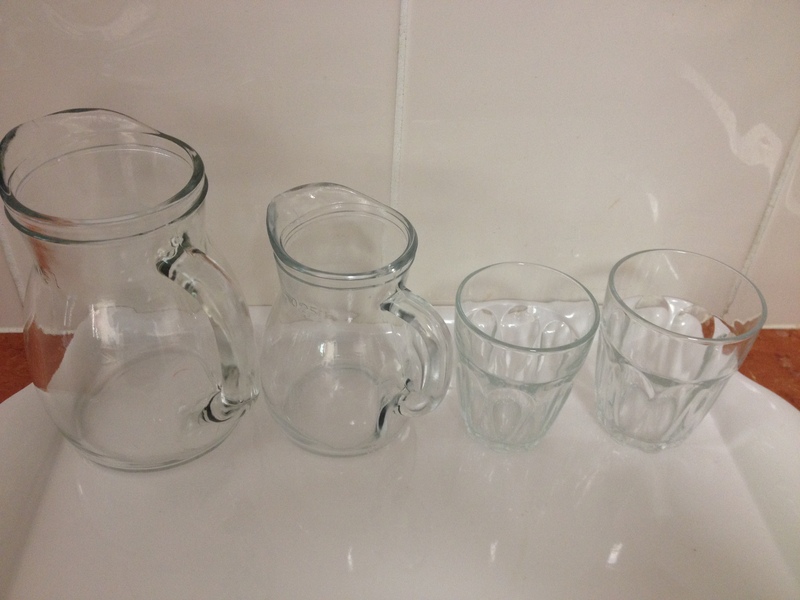 The jugs and glasses come out for meals and are kept on a tray. I have stainless steel or ceramic cups out during the day at my childrens water station, which is a bench top water purifier on a low table placed near the kids snacks table. 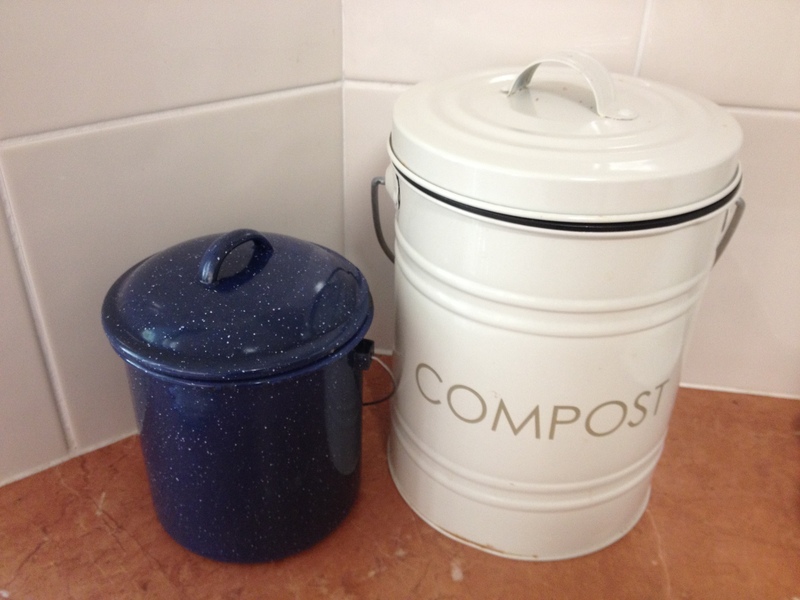 Our compost buckets. 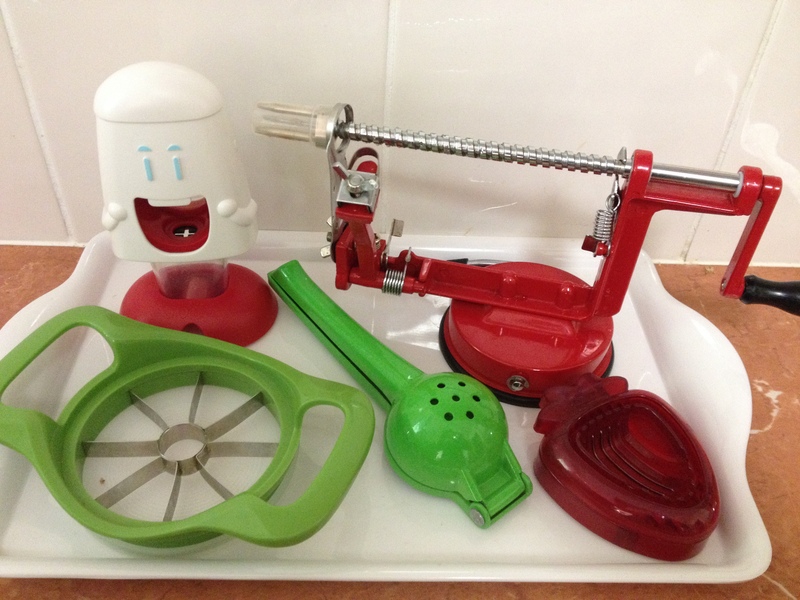 The blue one is for my children to use and it’s kept on their food prep trolley station. The scraps are used to make compost in our garden. Silicon toddler/child placemat that’s really easy to clean. Where did you get the placemat? 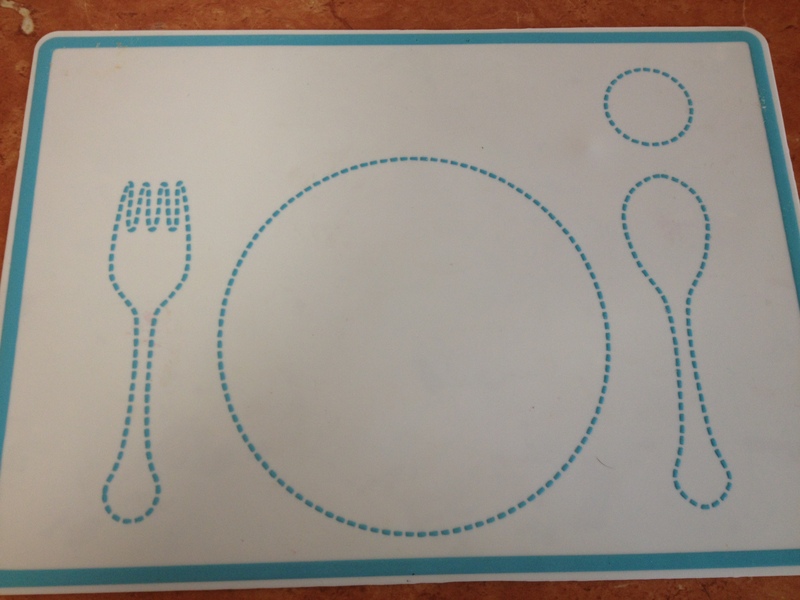 Hi Clare, I purchased this silicon placemat from the How We Montessori online shop in Australia. Kylie owns the shop and she does post overseas. Also, they are great for use with playdough as a cutting tool. Hope this helps.